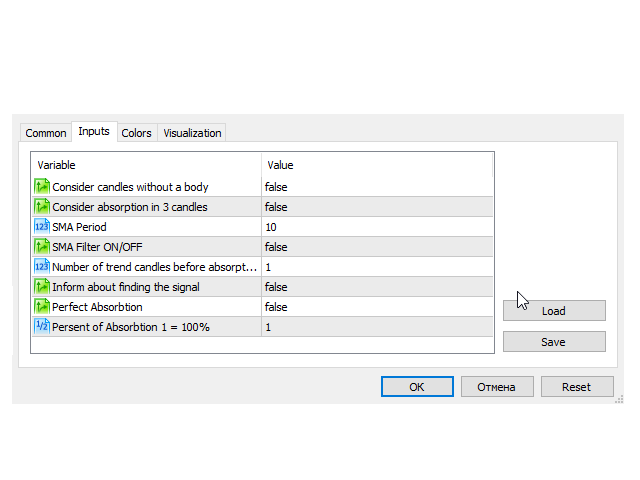 This is a demo version of the Candle Absorption Full indicator. It has limitations on operation. 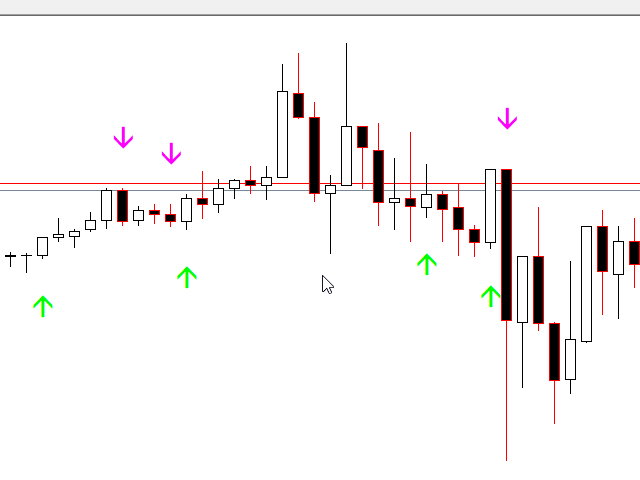 It works only with EURUSD on timeframes M1 and M5. 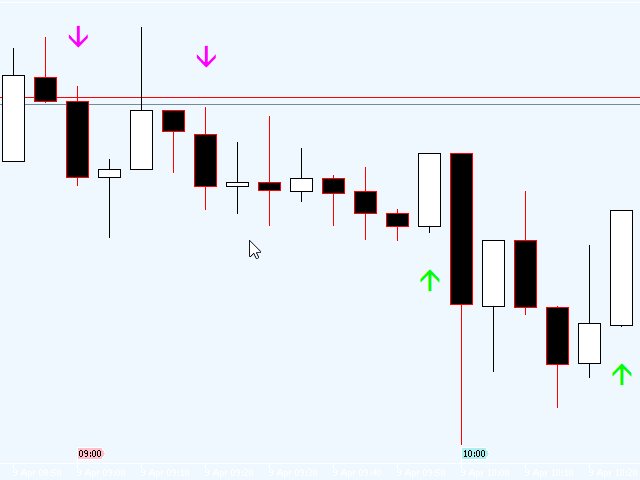 The indicator analyzes a combination of 2 or 3 candlesticks depending on settings. The number of pre-calculated bars (signals) is configurable. The indicator can send an alert to notify of a found signal. Signal can be filtered by setting the number of candlesticks of the same color (trend) preceding the pattern formation. The indicator has an SMA based filter. 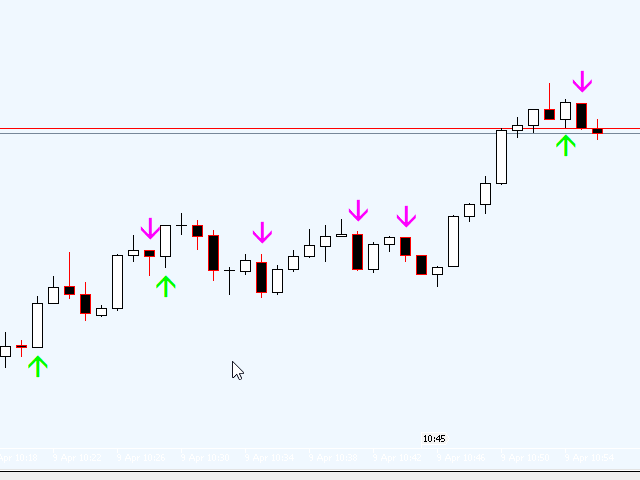 Consider candles without a body - take the doji candlesticks (without the body) into account. The default is no. Consider absorption in 3 candles - take into account the engulfing of the second candlestick instead of the first one as is usually done. The default is no. Number of trend candles before absorption - additional filter. The number of candlesticks of the same color preceding the engulfing pattern. Default - 1. Inform about finding the signal - notification (Alert) of the found signal. The default is no. Persent of Absorption 1 = 100% - the minimum percent by which the second candlestick should be larger than the first one.